JEFFERSON CITY, Mo. – Gov. Jay Nixon on Wednesday declined to answer questions about whether he had “diligently enforced” the provision of the tobacco Master Settlement Agreement dealing with small tobacco companies not participating in the settlement while he was serving as Missouri’s Attorney General. The comments came while Nixon, a Democrat, was speaking with reporters after Wednesday’s tax cut vote. 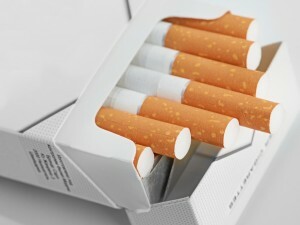 Missouri sales of discount brand cigarettes – nearly a quarter of the state’s total sales – ranks among the highest in the nation, while its escrow collection rate (part of an agreement that allows the state to collect big money from Big Tobacco as part of the settlement) was found by an arbitration panel in 2003 to be around 24 percent, the lowest among 15 states involved in arbitration. Attorney General Chris Koster has said previously that this allows Little Tobacco to “game the system,” receiving some $80 million annually back from the escrow account. Koster, and even Nixon while he was Attorney General, has called for elimination of the clause built into the law that allows those escrow funds to be returned. The settlement was to be enforced by state attorneys general. The concern regarding how it was enforced was raised on Monday by Senate President Pro Tem Tom Dempsey, a Republican. Nixon refused to address the issue while speaking to reporters on Wednesday evening. He said he was there to talk about a tax cut that he believes could harm public education funding by as much as $600 million annually. The tobacco settlement money, on the other hand, has the potential to cost the state as much as $70 million annually. The announcement for Nixon’s news conference was non-specific (the one-line email read, “Gov. Jay Nixon will hold a press conference in the Governor’s office today (April 16) at 5 p.m.”) And even at other news conferences where the subject is labeled, Nixon will often stray from the topic and take questions on a broad range of issues. In fact, prior to the tobacco settlement question, Nixon had fielded a question on his expectations for the rest of legislative session, where he called on lawmakers to expand Medicaid and uphold his budget recommendations for education and early childhood learning programs. Just last Thursday when Nixon met with reporters to criticize lawmakers for their supplemental budget, he took questions on a broad range of issues, including reforms to the state’s criminal code, the legislature’s tax cut bill, and the Fiscal Year 2015 consensus revenue estimate.